Holistic (or Integrative) Veterinary Medicine is the examination and diagnosis of an animal, considering all aspects of a pet's life including behaviors, medical and dietary history, environment, emotional stresses, and other factors. Holistic consultations for a healthy dog or a healthy cat usually takes only 30 minutes or so; holistic consultations for pets with a chronic disease or medical problem usually requires an hour, depending on the issues that you would like addressed. Consultations for a dog with allergies often requires more time. Before beginning treatment, the Veterinarian will usually discuss aspects of your pet's health and lifestyle. In addition to symptoms of illness, your pets personality traits, diet and activity level are all often part of the holistic diagnostic picture. 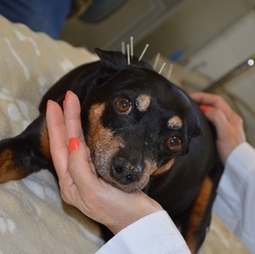 Depending on the diagnosis and stage of treatment, herbal medicines, supplements, acupuncture or mutiple modalities of treatment may be used in assiting your pet's natural healing process.